Temperatures rising, flowers blooming and birds singing. The signs that spring has sprung seem to be everywhere you look. For many people, the arrival of spring brings spring-cleaning and the removal of clutter from around the household. However, the organizing doesn’t need to stop at home. Just as junk can accumulate throughout the household during the year, the same can be said about our finances. This spring, take an opportunity to dust off your personal finances. Daily Finance shares six ways that you can straighten up your finances for a financial fresh start. Are you paying for more cable channels than you really need? Do you still have a gym membership when you haven’t gone in months? Take a look at your annual and monthly expenses and slash anything that’s no longer serving you. If you have any outstanding debt, it’s time to come up with a debt payment plan. Debt is a burden that seriously limits your ability to make the most of your money. Make this the year you finally eliminate it. The “snowball” method is a popular strategy that works for many people. It involves throwing any extra money you have toward paying down the account with the smallest balance, regardless of interest rate. Once that one’s taken care of, you move down the list to the account with the next-smallest balance, until eventually everything has been paid off. The idea behind this method is that crossing debts off your list will give you the psychological victory of “winning,” which keeps you motivated. Chances are you’ve had some changes in your life since you first signed up for your various insurance policies. Review these annually to make sure you’re still getting the coverage you need. Call your insurance agents for your home or renter’s insurance, auto insurance and life insurance to discuss your current needs and find out if any plans or features have been added recently that you may qualify for. It may take a little time on the phone, but it’s worth it when you have the peace of mind of knowing you’re adequately covered in case of emergency. Your credit report is a critical element of your financial life. The difference between applying for a loan with great credit versus applying for a loan with bad credit can yield a difference of tens of thousands of dollars over a 30-year mortgage. Head to a free online service such as annualcreditreport.com or creditkarma.com to review your credit report. Scan your report carefully to make sure nothing looks off. If you see a late payment you don’t recognize, a balance that doesn’t match your records or any other discrepancies, contact the reporting agency immediately to open up a dispute. We often shop around for the best deal when we sign up for a new service, but once it’s become a monthly line in our budget, we tend to pay it and forget about it. Take this time to re-evaluate your regular expenses and see where you can save some money. Examine things like your cellphone bill and cable bill and do some research to find out if there are any new plans or promotions you qualify for. Call up customer service and negotiate — they’re often willing to make a few concessions to keep a longstanding customer, whether it’s giving you a discounted rate or some premium features for free. Don’t forget to arm yourself with the prices competitors are offering; threatening to switch providers can go a long way in making a provider willing to work with you. Our needs change over time, so your budget should be flexible enough to change with them. Revisiting your budget at least once a year ensures that it still works for you. Your budget will only be successful if it’s in line with your current life and priorities. Review your budget’s performance over the past few months to see if there are any areas you can cut, any areas you need to increase or any new categories that should be added. If you’re struggling to keep up with your budget, try adopting the anti-budget. An anti-budget is simple – just pull your savings from the top first and spend the rest without constraint. 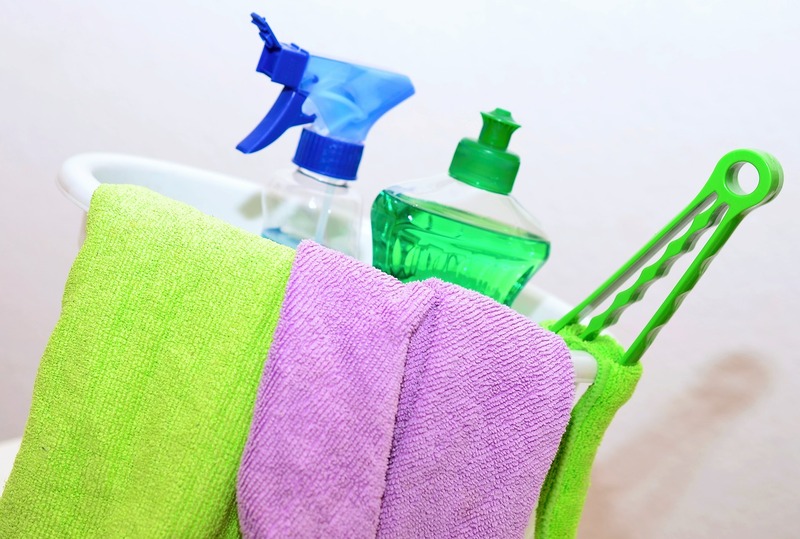 These are just a few steps you can take to clean up your personal finances in 2015. If you are overwhelmed with debt and need assistance sorting through a financial mess, contact Max Gardner, an experienced Bakersfield Bankruptcy attorney at 661-888-4335 for a free initial consultation.